At last, the Marvel Cinematic Universe receives its own guidebook! 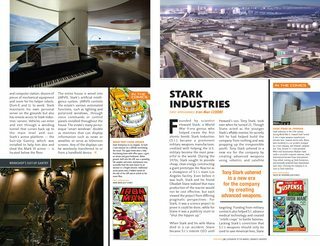 Starting with the 2008 blockbuster Marvel’s Iron Man, this series will profile fan-favorite Marvel Studios films and Marvel Television series! But this isn’t your daddy’s Official Handbook — the MCU Guidebooks are completely overhauled, slicker, sleeker and packed with vital information about the people, places, and objects that make the Marvel Cinematic Universe so compelling! 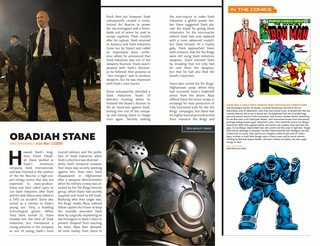 Chock full of “fast facts,” movie-to-comic comparisons, behind-the-scenes artwork and production stills, this inaugural issue features Tony “Iron Man” Stark himself; allies like Pepper Potts, Happy Hogan, Ho Yinsen and Agent Phil Coulson; enemies like Obadiah Stane and the Ten Rings; Tony’s armors and equipment including JARVIS, the Arc Reactor, Stark Mansion…and don’t forget “Dum-E!” And much more! 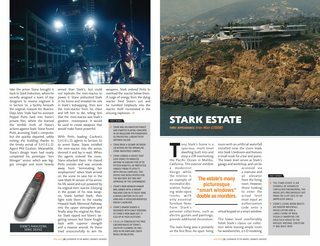 Relive the big-screen thrills of Marvel’s Iron Man, and begin building your indispensable library of Cinematic Universe reference books!